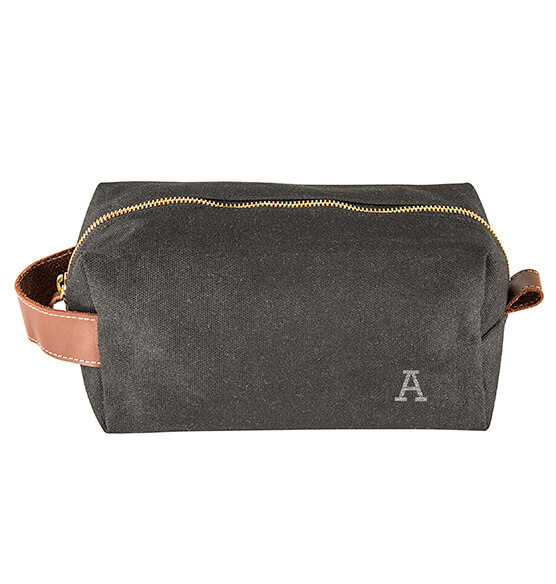 An ideal travel companion, the Personalized Waxed Canvas & Leather Dopp Kit is the perfect gift. 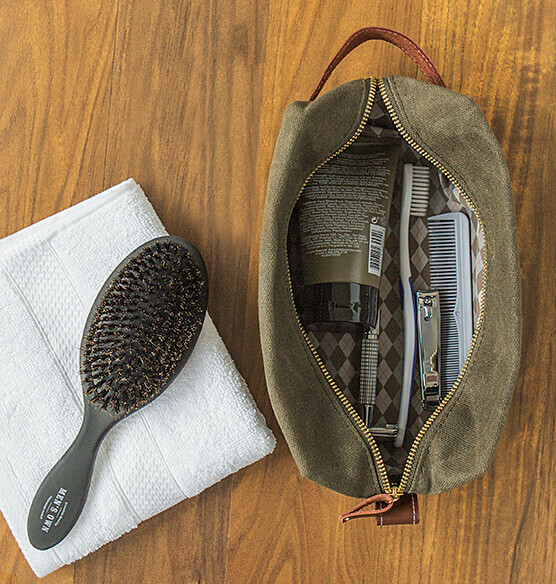 This men's toiletry bag features a water-resistant wax covering, comfortable leather strap handle, a wide zipper opening, and a charming patterned lining. 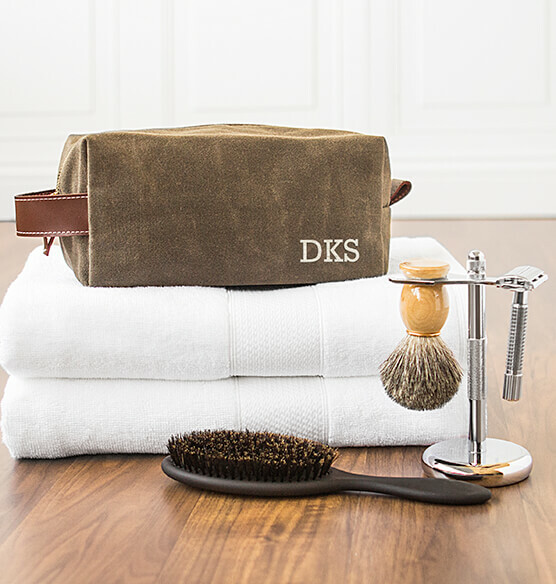 Great as a shaving kit bag, this handsome dopp kit will endure travel, vacations and business trips. 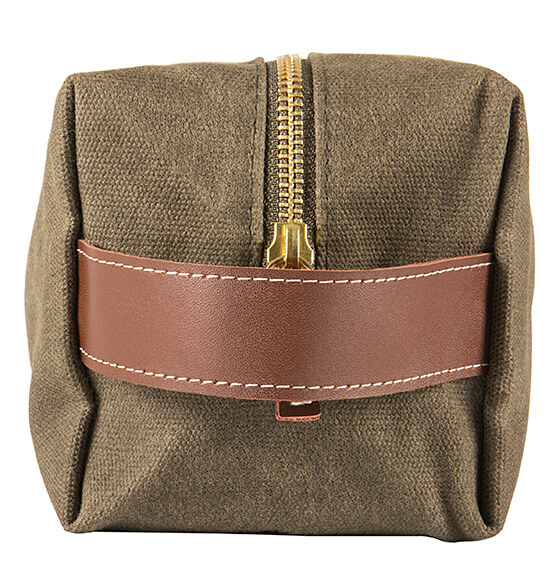 13" zipper opening with a leather pull. Specify color: black or olive green. Crafted from 16 oz. 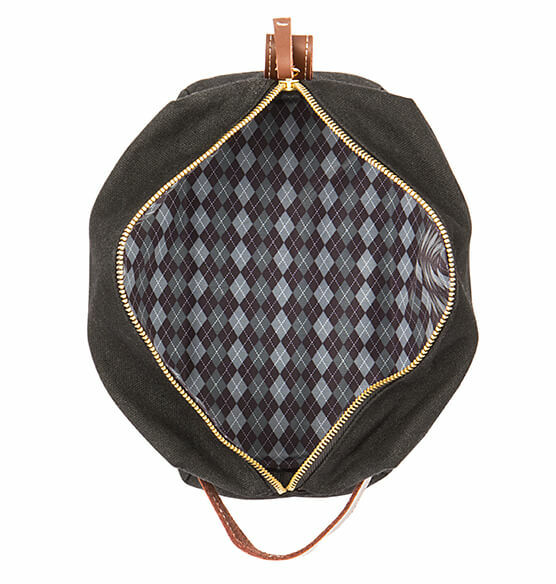 wet waxed canvas, leather, Argyle lining.